If there's anything we learned from 1980s teen movies, it's that nerds know how to party. So these are perfect whether you are blinded by science or blinded by huge quantities of CH3CH2OH. 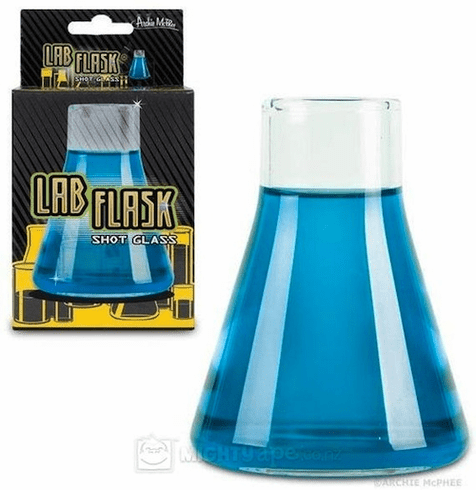 Each glass flask is 2-3/4" (7 cm) tall and holds 2 oz. (59 mL).